Hiking, mountaineering and trekking are physically demanding activities that require high-performance clothing which keeps you comfortable, no matter the conditions. A hiking shirt is one of the most vital pieces of hiking clothing because it is in direct contact with your skin. Therefore, it should be breathable, moisture-wicking and quick-drying. For long hiking trips, it is a huge benefit if a hiking shirt is also made of antimicrobial material that prevents the growth of odor-causing microorganisms. 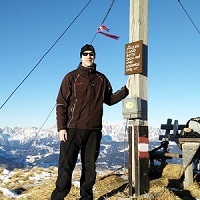 In this review you will find a selection of the best short-sleeved hiking shirts. We selected the best five short-sleeved hiking shirts currently available and reviewed them to make your buying decision a little easier. All shirts in this review are breathable, quick-drying, odor-resistant and moisture-wicking. They can be worn as standalone shirts or base-layers under mid-layer garments, such as a fleece jacket. 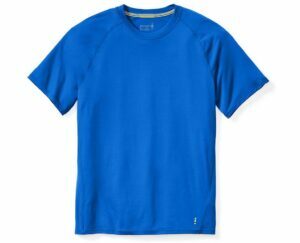 If you are looking for a hiking shirt with long sleeves check out our review of the Best Merino Wool Base Layers instead. This selection includes primarily men's products. For women's products check out the Best Hiking T-Shirts for Women. 1. 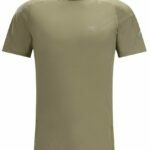 Buying a Hiking Shirt – What is important? Hiking shirts are typically made either of polyester or Merino wool because these two materials are quick-drying, moisture-wicking and breathable. Hikers, mountaineers and trekkers often face a dilemma whether to buy a Merino shirt or a polyester shirt. Both materials have advantages and disadvantages. In this review we listed two Merino shirts and three polyester shirts (see the table below). Polyester dries faster than Merino wool and absorbs less moisture (sweat). However, polyester shirts do not match Merino shirts when it comes to breathability and odor resistance. Some polyester shirts are treated with antimicrobial agents to be odor-resistant, but these agents sometimes wash out. Polyester shirts are also less comfortable to the touch. Merino shirts are super soft to the touch and provide great breathability and odor resistance. Note that Merino wool is naturally antimicrobial. However, they are pricier than polyester shirts and less durable. Nevertheless, manufacturers often add nylon fibers (up to 15%) to the fabric to improve the durability of Merino garments. Merino shirts are, in contrary to common belief, also suitable for warm summer days because Merino wool can be knit into very thin fabrics (150 g/m2) and the fibers also protect against UV-radiation. The UPF-rating of a garment indicates how much UV-radiation it can protect against; a shirt with a UPF20 blocks all but 1/20 (≈5%) of UV-rays. The UPF-rating is dependent on various factors such as tightness of weave (think denim versus loose knits), fiber type (wool, polyester, cotton etc. ), amount of stretch, dyes, treatments and condition of the garment (brand-new or worn-out). Read more in our article Sun Protective Clothing for Hiking. The seams on a shirt should not cause any rubbing or chafing. Manufacturers usually use flatlock seams to prevent seam chafing. Flatlock seams do not have any layers to the underside and are therefore very comfortable. It is a great benefit if a shirt is antimicrobial. This means that it will stay fresh after days of use. Merino wool is naturally antimicrobial while polyester can be treated to provide odor-control. A hiking shirt should be machine-washable. It should also maintain its properties after regular washing. 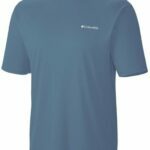 The Icebreaker Tech T-Lite t-shirt is perfect for hiking, mountaineering and other outdoor activities. It is made of ultralight Merino wool which is wrapped around nylon fibers for better durability. The fabric has a density of 150 g/m2 and therefore the shirt is suitable for all seasons. The fibers of Merino wool are between 17 and 19 microns in diameter – which grades the wool as superfine/ultrafine. Therefore, the fabric is very comfortable to the touch and does not cause any itching. 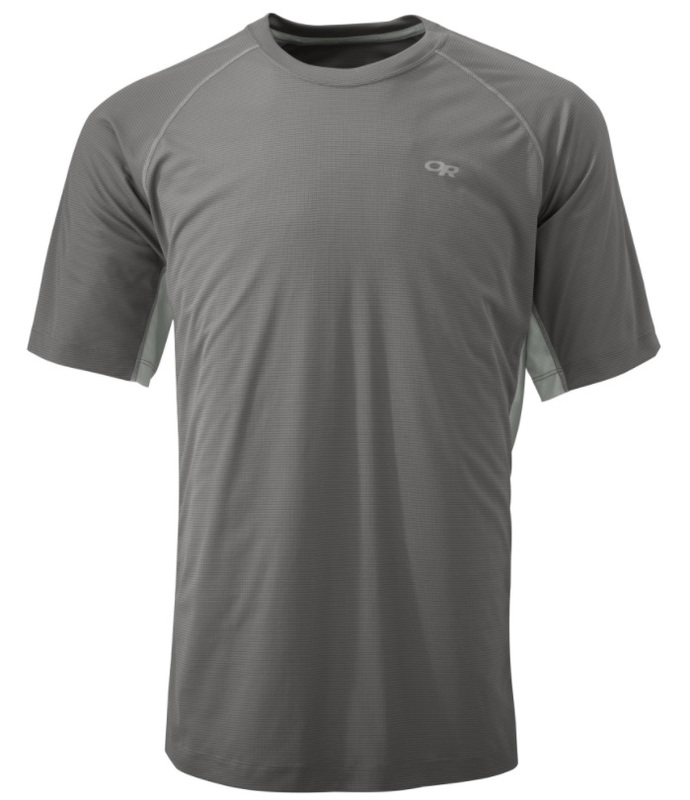 The Icebreaker shirt also provides great breathability, odor-control and is moisture-wicking. It has a regular fit which is neither too snug nor to lose. Thus, the t-shirt offers great freedom of movement. For those looking for diversity, the shirt comes in 11 different colors. The Icebreaker Tech T-Lite is best for those who want a comfortable shirt for their outdoor adventures. The Arcteryx Motus Crew SS is a very sophisticated high-performance shirt. The shirt is made of the Phasic SL fabric (70% polyester, 30% polypropylene) which has a bi-component structure (hydrophobic yarns as well as hydrophilic yarns) to increase moisture dispersion. The non-absorbent hydrophobic yarns transfer moisture from your skin to the hydrophilic yarns which disperse the moisture over the entire fabric. This technology improves temperature regulation and significantly reduces the drying time. As the yarns are equipped with encapsulated silver ions the material also efficiently eliminates odor-causing bacteria. The shirt also features flatlock seams, gusseted underarms and reflective blazes. The flatlock seams prevent rubbing and chafing while the gusseted underarms provide great freedom of movement. 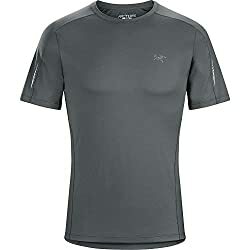 The Arcteryx Motus Crew SS shirt is best for those who need a high-performance shirt for their physically demanding adventures. 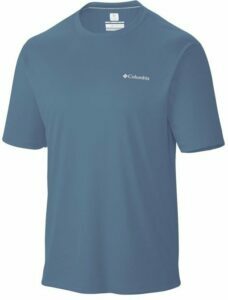 The Columbia Zero Rules shirt is a great option for hiking, mountaineering and trekking in warm weather. It is made of 100% zero interlock polyester and features Omni-Wick, Omni-Shade and Omni-Freeze technologies. The Omni-Wick technology ensures that moisture is quickly moved from the skin to the fabric where it is dispersed across the surface to evaporate quickly. The Omni-Shade technology blocks UV rays and thus protects your skin against sun burns, while the Omni-Freeze technology decreases the overall temperature of the fabric to keep you cool in warm conditions. The fabric is also treated with antimicrobial agent to eliminate odor-causing bacteria. In addition to that, the shirt features a printed (non-chafing) label and flatlock seams. 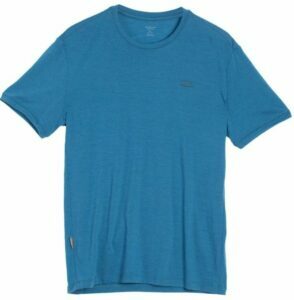 It comes in 9 different colors and has a relaxed fit. The Columbia Zero Rules is an excellent shirt for hiking in very warm conditions. 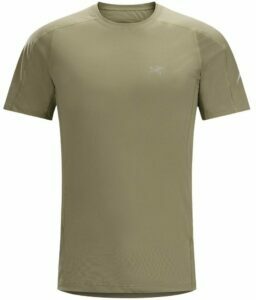 The Outdoor Research Echo Duo Tee shirt is another great option for hiking and mountaineering in very warm weather. The shirt is made of the AirVent polyester fabric which is very light and porous. Therefore, it provides great breathability and dries very fast. The fabric is also treated with Polygiene antimicrobial agent for odor-resistance. The t-shirt features raglan sleeves and flatlock seems for comfortable wearing. It has UPF rating of 15 (sun protection) which is rather low but understandable because the fabric is very porous. The shirt is available in 10 different colors and has a regular fit. The Outdoor Research Echo Duo Tee shirt is, due to its porosity and low weight, best for hiking trips in very warm conditions. 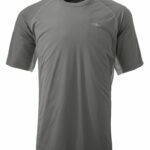 The SmartWool Merino 150 shirt is made of blend of Merino wool and nylon. Therefore, it is durable, breathable, moisture-wicking and odor-resistant. The fabric has a density of 150 g/m2 which makes the shirt suitable for all seasons/conditions. 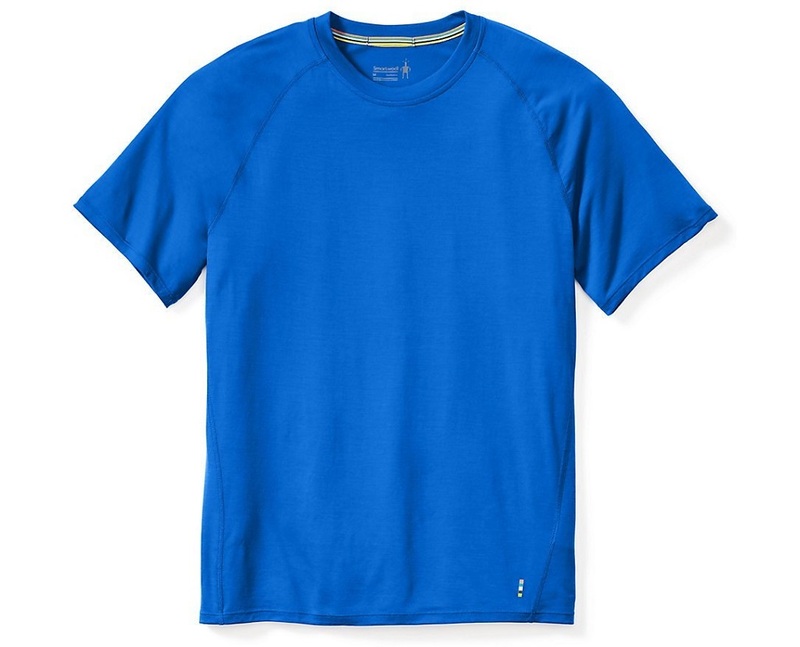 The SmartWool t-shirt also features a crew neck and comfortable flatlock seams which efficiently eliminate rubbing and chafing. The fit is snug, but the t-shirt provides great freedom of movement nevertheless. 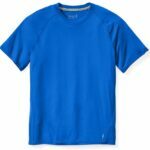 The SmartWool Merino 150 shirt is perfect for long hiking trips because it is comfortable and provides great odor-control. It is available in three different colors; blue, green and black. Women's Version: Not available - see the T-Shirts for Women instead.